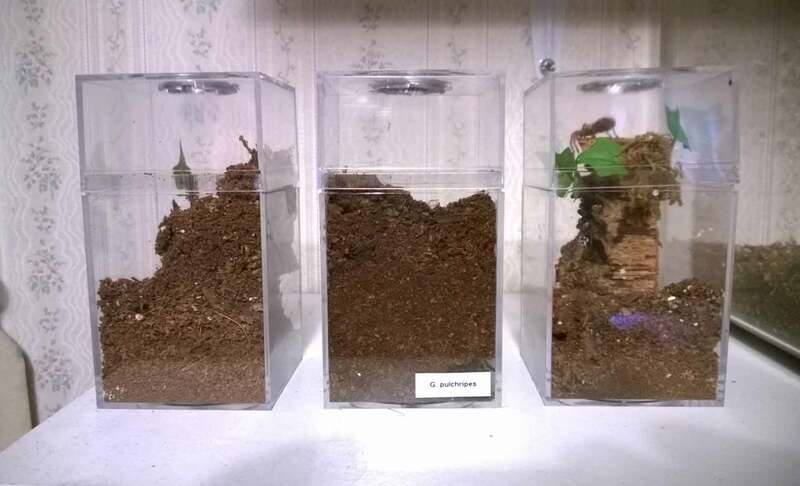 Tarantula Controversies – Should You Give Tarantulas Water Dishes? 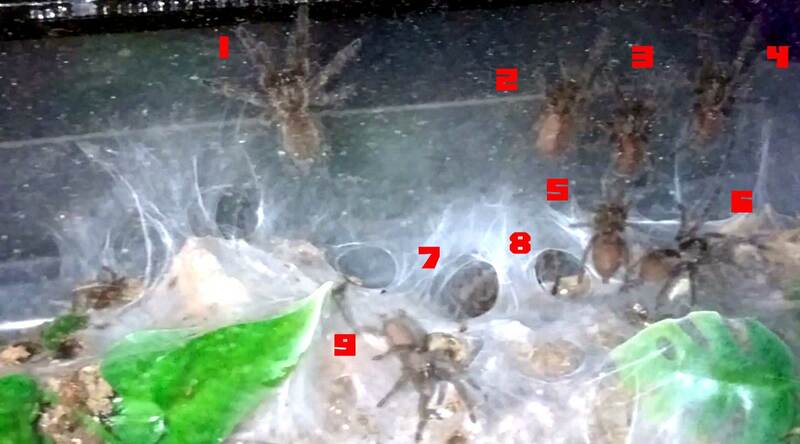 Recently, I sat down to write an article about some of the divisive, hot-button topics that dog the tarantula hobby and often ensnare uninitiated keepers in heated debates. These are subjects that new hobbyists are often interested in learning about, but an internet search or an innocent forum query produces two equally heated and opposing answers. My hope with this feature is to present both sides of these gray-area arguments so that keepers can develop their own informed opinions and make equally informed decisions. For the third installment, I’ve decided to take on the topic of using water dishes with tarantulas. Just recently, a popular YouTube enthusiast posted a video about a “sick” Psalmopoeus that he had found in a semi-death curl. After plucking the poor creature out and putting it into a tarantula ICU with plenty of water, the animal quickly perked up. Whew…his quick thinking saved the day and miraculously cured the animal of its mystery malady! 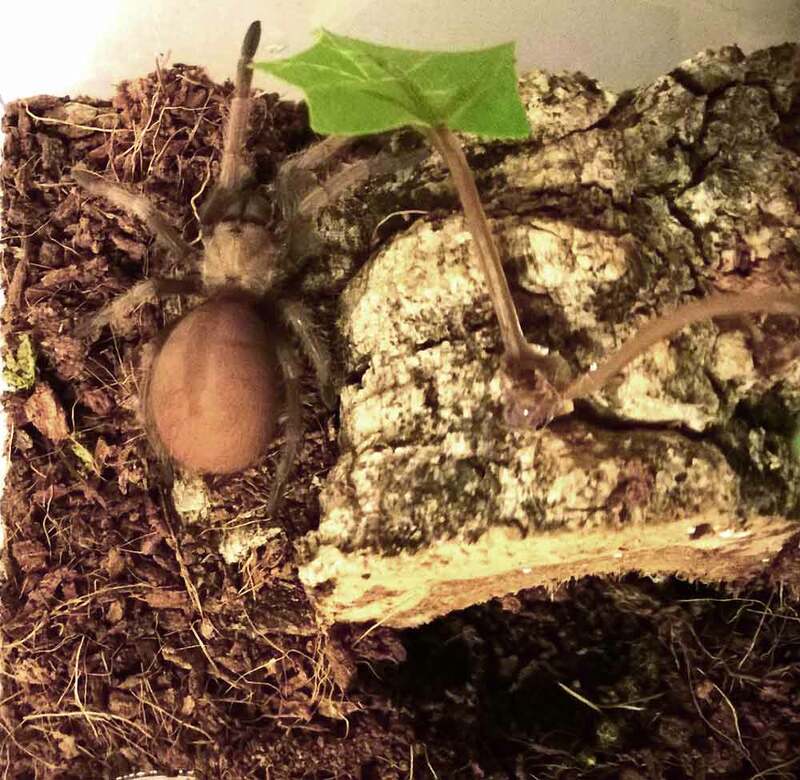 However, while the crux of this particular post was how he valiantly saved his pets life by using a tarantula ICU, there was a much more important and overlooked lesson to be gleaned from the experience. Many commenters were quick to point out that that his spider was kept on bone dry substrate and didn’t have a water dish. The poor animal was obviously suffering from dehydration. If the keeper had only taken the time to make sure his T had access to fresh water the entire time, he wouldn’t have found it in such a precarious state. The root of the issue seemed so obvious to me, and to many. But amazingly, none of this was really addressed by the keeper in the video, and he actually sounded dumbfounded at the end as to what could have caused the issue, even though he did mention dehydration as a possible cause. I’m not sure if this was an isolated issue and the keeper did normally supply water dishes (although I think that he might have mentioned that he mists). The fact that he didn’t immediately have an AH-HA! moment and publicly express regret or understanding over his husbandry mishap was a bit mind-boggling. Even more confounding to me was some misinformed souls responding to the “pro water dish” crowd with comments like, “Most Ts don’t drink from dishes, get informed”, and “Tarantulas can drown in their water dishes”. Even when others tried to explain why just misting wasn’t enough and how tarantulas absolutely will drink from dishes, one poster didn’t relent in his/her misguided attacks. This recent event reminded me that the debate over tarantulas and water dishes still raged on. 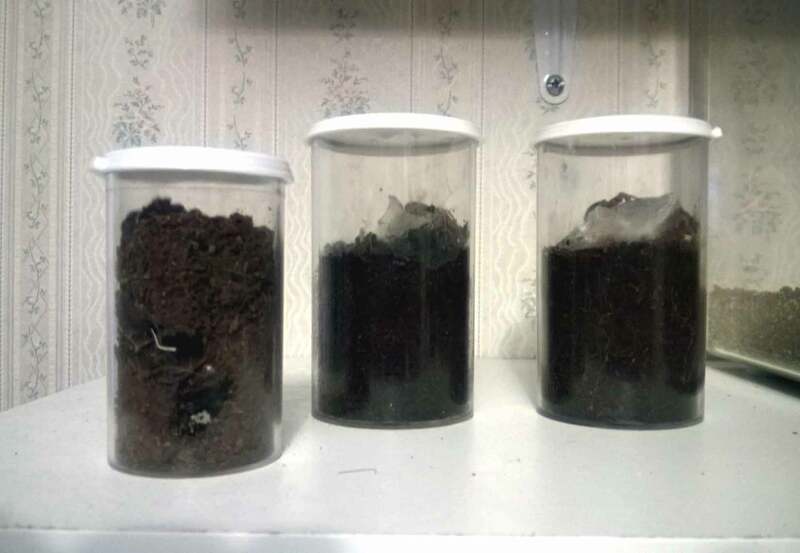 This question is a fairly simple one; should keepers give their tarantulas water dishes, or are they useless accessories? …they all need water to live. Therefore, when I first got heavy into the tarantula hobby, it seemed obvious that I would have to provide moisture for my spiders. And, when it came down to it, the easiest way to do it seemed to be by using a dish. But after doing some reading, I discovered that folks were split on how necessary they were. Many argued that adults didn’t need dishes because they got all the moisture they needed from their prey or from light spraying. Others argued that using dishes with slings was dangerous as they could easily drown in them. A few even indicated that tarantulas wouldn’t use dishes, so it was a waste of time to supply them. On the other side were the pro-dish folks who believed that good tarantula husbandry included water dishes, as conscientious keepers would ensure their pets always had access to water. They argued even the tiniest slings could benefit from them, as the idea that they could drown was preposterous. Furthermore, they point to that fact that water dishes can have benefits even if the spider doesn’t drink from them, including raising the humidity for moisture dependent species. So, which side is correct? Do all tarantulas, including slings, benefit from having water dishes? Or is giving a T a water dish a waste of time? As always, the answer might be somewhere in the middle. Below are the arguments and counter arguments and how they usually break down. For clarity, stances supporting the use of water dishes will be in GREEN; stances against will be in RED. Slings should not be given water dishes as they are drowning hazards. Mention giving water dishes to slings, and you’re likely to have plenty of well-meaning keepers tell you that you are putting your pets at risk. They argue that giving a tarantula under 1.5-2″ a water dish is much like leaving a baby unattended in a bath tub (read: a recipe for disaster). 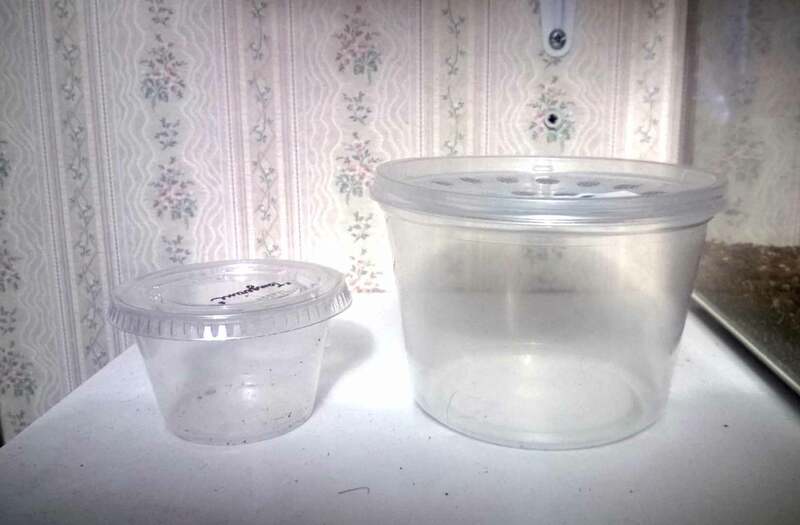 I’ve had folks tell me stories about how friends’ tarantulas have drowned in their water dishes, or they stopped using them after repeatedly losing slings to them. In a couple stories, the ill-fated T attempted to molt in the water dish, and died as a result. Although many will concede that incidences of supposed sling drownings are hard to find, they question any keeper who would want to take the chance and risk it. Folks in this crowd will advocate spraying as a way to keep your T happy and hydrated without risking an accidental drowning. They believe that misting the sides of the enclosure a few times a week is sufficient and much safer. Folks in this camp often stick to a scheduled misting/spraying routine of two or three times a week to keep their wee ones hydrated. Contrary to popular belief, healthy slings are not at serious risk of drowning. Let’s get this out of the way; is it physiologically possible for a tarantula spiderling to drown or suffocate in water? Of course. However, is it likely? NO. Here’s the deal: slings float. Not only do they have little hairs that serve to repel water, but they are so light that they don’t break through the surface tension of the water and sink. Do enough research, and you’ll find many photos of baby tarantulas floating and skittering atop of large bodies of water. Couple that with the fact that they require very little oxygen to survive and can go without breathing for quite some time, and it becomes very apparent that you would basically have to hold one under water for hours to drown it (and, there are some species that will sit underwater for hours and still be fine when they emerge). Older specimens are even able to create air bubbles around their book lungs to protect them from suffocating in water. There have even been some keepers who have experimented with what happens when a sling is put in a larger body of water; the results show that the animal really isn’t in much immediate peril. When the subject of water dishes comes up, the pro-dish crowd is quick to point out that having a constant available water source is even more important for slings. 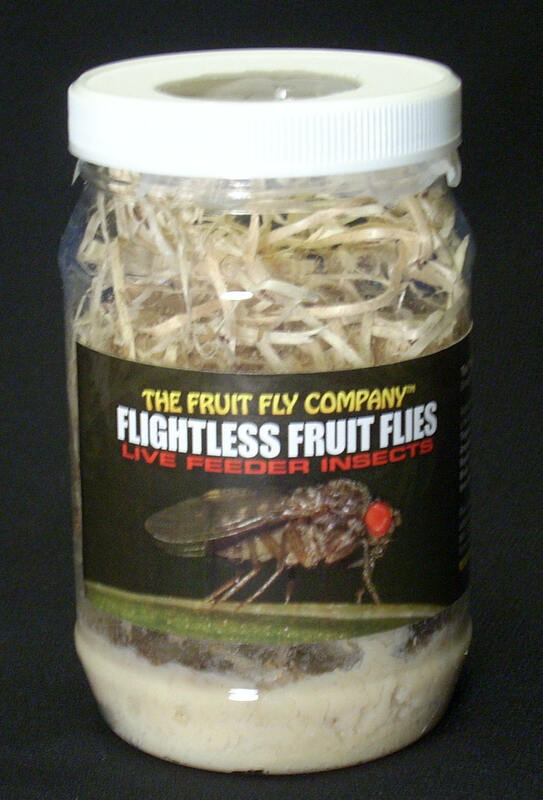 Small slings are much more fragile due to that fact that it takes them a few instars to develop the protective waxy coating that helps them retain moisture and prevents dehydration. Although misting supplies a water source for up to a couple hours after the act, it does not give the the slings a permanent water source. Therefore, a keeper who sprays twice weekly is only giving his/her sling access to water a small percentage of the time. Using water dishes, on the other hand, allows the T to drink whenever it needs to, eliminating the much more serious and realistic potential of it dying from dehydration. Tarantulas don’t have water dishes in the wild, so they don’t need them in captivity. This is an argument that comes up quite a bit. Some keepers will point out that, in their natural habitats, tarantulas don’t have the luxury of water dishes. And, as many come from harsh, hot, arid regions with little rainfall, their is no need for supplemental water sources. These are not mammals that require water daily to survive; most of these creatures are like little arachnid camels, with some able to survive indefinitely with no water source. Those who don’t use dishes will also point out that many tarantulas have demonstrated the ability to subsist on the moisture they obtain through their prey items. Folks who insist on including dishes are just cluttering their enclosures and wasting their time. If a keeper is worried about the T getting a drink, a couple squirts from the mister will do the trick. Sure, they don’t have dishes in nature…but they have rain, puddles, streams, etc. It’s absolutely true that tarantulas do not have little plastic dishes or ceramic dishes of water in the wild. However, comparing captive life to life in the wild is like comparing apples and softballs. For example, in the wild they don’t live in glass or plastic cages with regulated temperatures and giant humans that consistently drop food in for them. In their natural environments, many of these animals have access to plenty of water sources. Even some of the most arid regions get rain on occasion, and rain forest and tropical species get plenty of rainfall, leaving puddles and dripping foliage full of water behind. The fact is, they do have access to water at various times. Also, although they may be able to subsist on getting moisture from their prey, it would be difficult to argue that this is ideal for many of them. And, of course, this begs an important question; namely, are we trying to provide them with their natural conditions or the closest to ideal conditions we can in captivity. In nature, these animals must deal with harsh temperatures, drought, flooding, and the threat of predation. In many instances, these animals have adapted to their harsh environments by being able to survive without water. Does this mean they they wouldn’t benefit from having water whenever they want it? No. Unless a keeper is going through unusual (and possibly, cruel) lengths to ensure his setup is 100% authentic, then it makes sense to give them the most comfortable setup possible. This means access to fresh water whenever they need it, and what better way to do that than a water dish. Tarantulas won’t use water dishes. I’ve actually heard this one quite a bit lately. I spend a lot of time on YouTube watching videos by other keepers, and occasionally someone will point out that a keeper should think about giving his or her wards dishes. Responses from other commenters in defense of the keeper are often along the lines of, “Tarantulas can’t drink from bowls” or “Not all tarantulas will use them.” Some use the theory that they’ve never witnessed one of their spiders drink, therefore, they must not use the bowls. Others even insinuate that no tarantula can use an open water dish as they are just incapable.These folks feel that supplying these artificial water sources is ridiculous and pointless. Why, yes…YES they will. As they say, a picture is worth a 1,000 words (and I’m way past 1,000 words already), so allow me to retort on behalf of the pro dish crowd. A very special thanks to Jesse Thibodeau for these amazing photos! All joking aside, many tarantulas have no problem using dishes. Just because you don’t see them using dishes, doesn’t mean they are drinking from them. Although we keepers spend a lot of time observing our pets, we can’t be there 24/7. And, considering most tarantula species are nocturnal, only becoming active when the lights are off and we’re in bed, it’s safe to assume that many take some late night swigs. Are there some individual that just won’t drink from a bowl? I’m sure that it’s possible. However, how can you tell…and do you really want to take the chance? Besides, how do you know if your tarantula won’t drink from a bowl until you actually try it? They just fill them with dirt and waste, so it’s too much of a bother. It’s definitely true that, when presented with a standing water source, many tarantulas seem to neglect using their dishes for their rightful purpose and instead use them as trash receptacles or toilets. 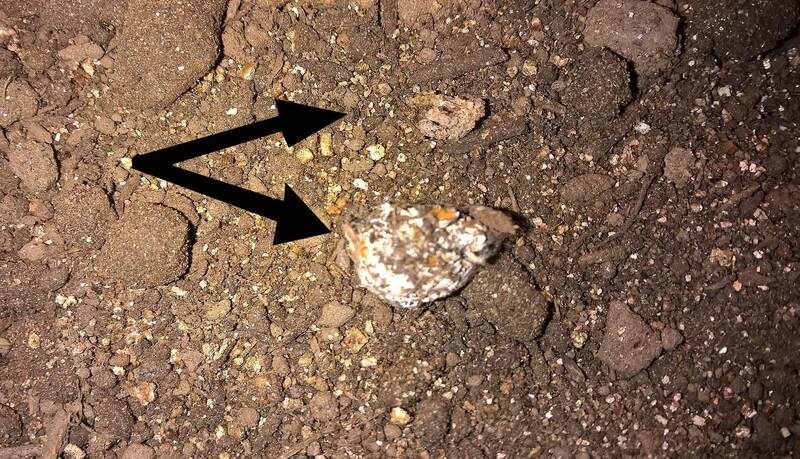 Many folks report their pets immediately filling their bowls with dirt or, even worse, using them as a place to deposit boluses and feces. Others will immediately web over the dishes, which can quickly lead the moisture wicking out, resulting in a bone dry dish. It seems that some species of tarantulas see a water source as a means of waste removal, likely due to instincts they developed in the wild. It’s possible that, in nature, rainfall brings tiny streams that they use to perform a little spring cleaning? Who knows what goes on in those amazing little brains sometimes. Keepers who’ve spent time providing water dishes only to repeatedly find them horribly sullied the next day quickly come to the conclusion that they are not worth the effort. If an animal that has survived millions of years decides it doesn’t need a dish, who are we to argue? See, the idea of providing a water dish is that, unlike spraying, it gives the tarantula access to a permanent source of clean water. However, if the tarantula fills it with dirt the first day, then what have you gained? Nothing. Fed up with the constant attention and time required to keep their dishes dirt and waste free, many keepers have sworn them off completely. Good husbandry for any pet takes time and involves cleaning. For many of the pro dish folks, cleaning out the water dishes is simply part of good animal husbandry. Sure, it can be frustrating to have to clean out bowls, especially shortly after you filled them, but it’s little to ask for a creature that only needs to be fed once in a week and doesn’t need to be walked, groomed, or taken to the vet. Tarantulas are one of the most low-maintenance pets a person can have, so withholding a water dish because you don’t want to clean it is just, well, lazy. When I first came up with the idea for the Tarantula Controversies series, it was with the full intent of keeping these articles as unbiased as possible. I spent a lot of time reading through forum responses and hearing what other keepers had to say about the issues so that I could thoroughly present both sides of the arguments. Although I reserve this section at the end of each article to give my take on the topic, I tried to keep my final thoughts from being the decisive word on the subject. The issue of whether or not tarantulas need water dishes was supposed to be the second topic in the series, however, I’ve repeatedly shied away from it due to my heavy leanings in one direction. How could I walk the line on an issue I have very strong feelings about? However, a couple recent events, as well as discussions with a different keepers, convinced me that I needed to visit this topic and try to my best to cover both sides. Let’s get the obvious question out of the way. Do all tarantulas require water bowls in captivity to live? Well, if that were the case, then any T kept without a water dish would die, and there wouldn’t be need for this article. The fact is, most tarantulas species are incredibly hardy, and millions of years living in often changing and hostile environments has allowed them to evolve and adapt to weather and climate conditions that would kill other less rugged creatures. It’s also true that many species can subsist on prey for moisture and go long periods of time without needed an supplemental water source. And that, in a nutshell, is why this question will forever remain a gray area. 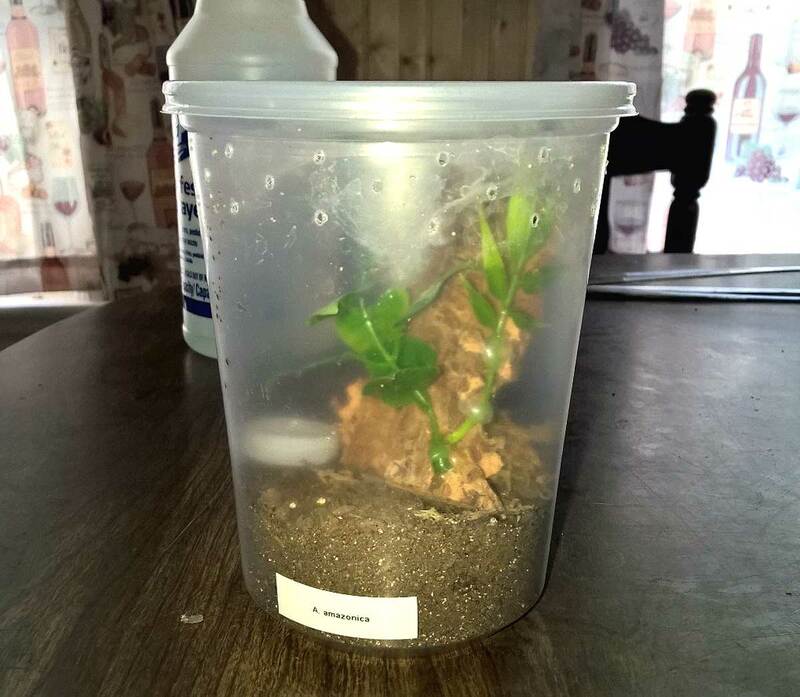 The fact is, many seasoned hobbyists and breeders don’t give their tarantulas water dishes, resorting instead to spraying and sometimes just prey as a system for moisture delivery. These are not folks just getting into the hobby and doing it out of ignorance or laziness either; they are experienced keepers and breeders who are leaning on years of experience to tell them bowls are just not needed. Perhaps then, it’s best not to deal in absolutes and instead look at the whether or not one side offers a clear benefit. Personally, I believe this is where the scales are tipped toward the pro dish side. We can conclude that many folks successfully keep tarantulas without water dishes, so we can’t say that they are 100% necessary. Great. However, do they provide other benefits, including a valuable backup if spraying fails? YES. Let’s take the example from the YouTube keeper mentioned above. This man has been keeping tarantulas for at least three years and is looked up to by many in the hobby. He keeps a variety of specimens besides tarantulas, and it appears as if they are all healthy and thriving. If it’s true he doesn’t use dishes, then he’s seemingly had a great bit of success without them. However, in the example given above, his P. vittata nearly died…of dehydration. The fact that it perked up so quickly after being given water makes that point pretty obvious. Although he mentioned that he sprays his enclosures “usually” every morning, and that might have worked in the past, it didn’t in this occasion. 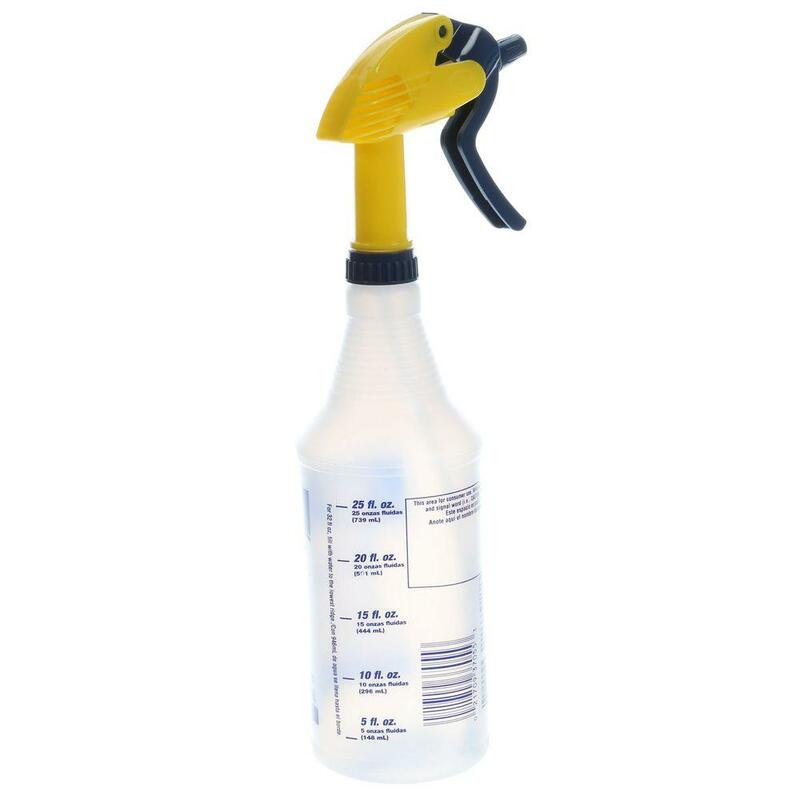 Although misting is great for offering a quick blast of moisture for drinking or raising humidity, it quickly evaporates. This means that a thirsty T might only have a window of an hour or two to drink before the water is gone. A shy or nocturnal spider might not venture out in time to reap the benefits of that misting. And what measures might have been taken to ensure that this spider would never have this issue? That’s right; he could have included a water dish. This is a prime example of why water dishes can be such an integral part of tarantula husbandry, even if they don’t “need” them. I currently keep 15 pokies, and they all have water dishes, even as slings. I’ve personally witnessed many of them drink, and that’s enough positive reinforcement for me to make sure that they will always have bowls. 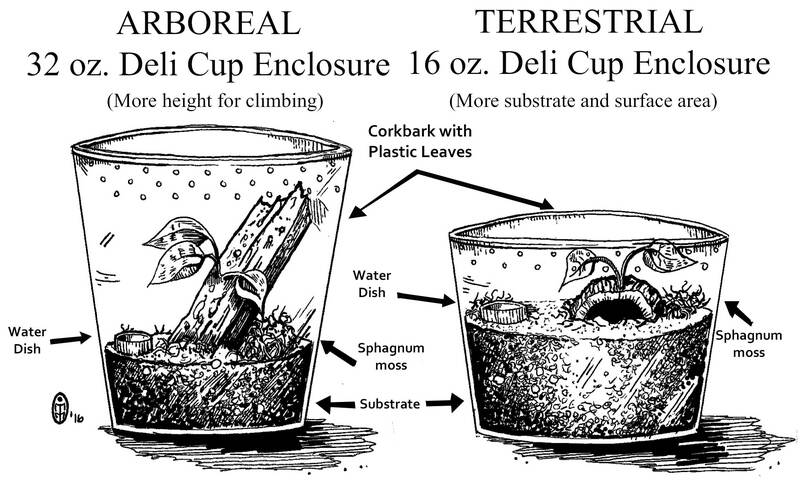 Perhaps, we shouldn’t be asking if tarantulas NEED water dishes, but instead whether they can benefit from them. And what of my arid species that supposedly don’t need water? 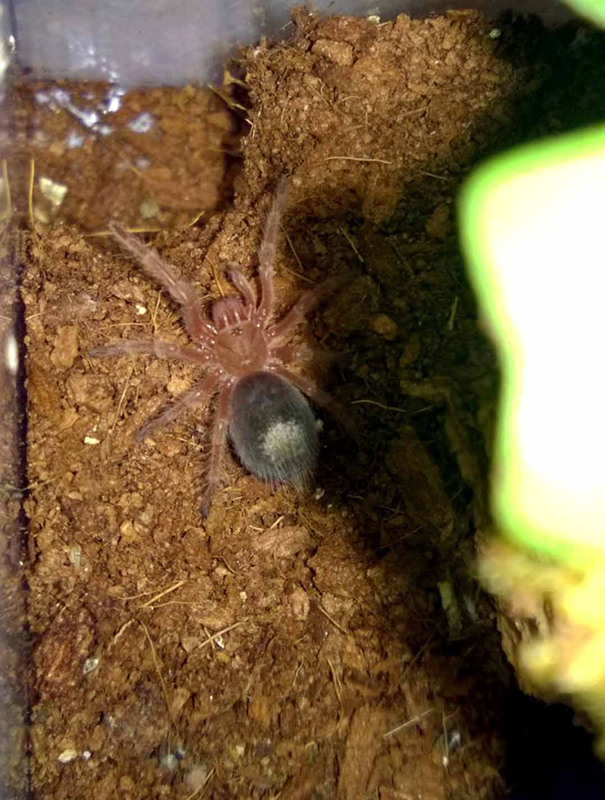 Well, the tarantula I’ve caught drinking the most would be my Grammostola porteri, a species widely recognized as thriving in dry conditions. So, if she occasionally wants a sip of fresh H2O, wouldn’t it stand to reason that my other Ts might as well? Can it be a pain in the posterior to keep them all clean and filled. Sure it can. 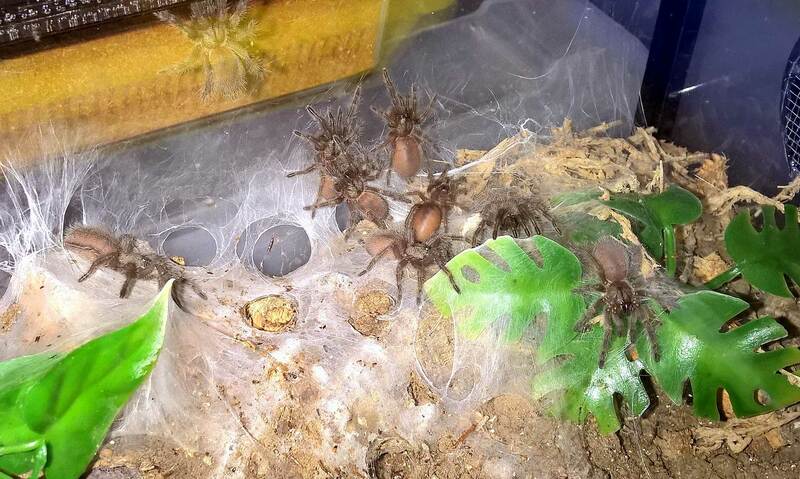 I have several Phormictopus species that just love to fill their up to the top with dirt, and my H. pulchripes and M. balfouri both love to cover their with webbing. However, I’ve made it part of my feeding and maintenance routine to clean them out and fill them up once a week. And what about my pokies who just love to dump their boluses in theirs, fouling them up? In some cases, I’ve resorted to using two disposable cups, one inside the other, so that I can just pluck the top cup out and replace it with a fresh one. I can then either throw away all of the old ones, or clean them out all at once saving some time. Another point to consider is how important dishes can be for moisture-dependent species. As mentioned earlier, misting only raises the humidity temporarily, as the water quickly evaporates. 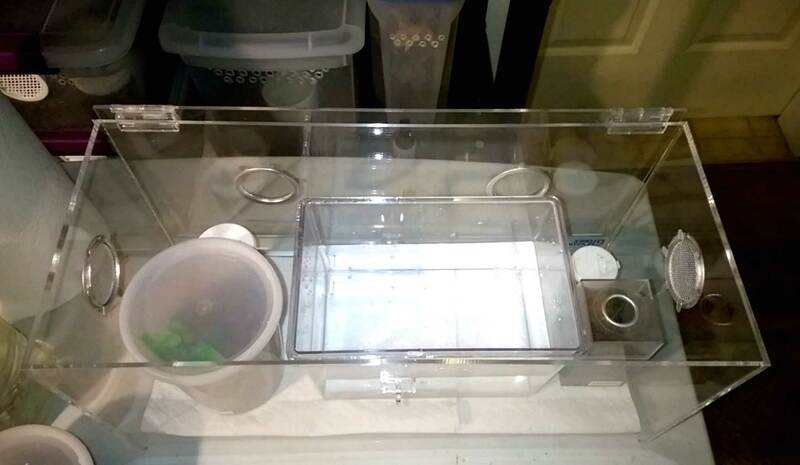 A large water dish, on the other hand, will allow water to constantly evaporate into the air, naturally raising the humidity inside the enclosure for much longer. I’ve actually heard accounts by folks who successfully keep moisture-dependent species on dry substrate with large or multiple water bowls. 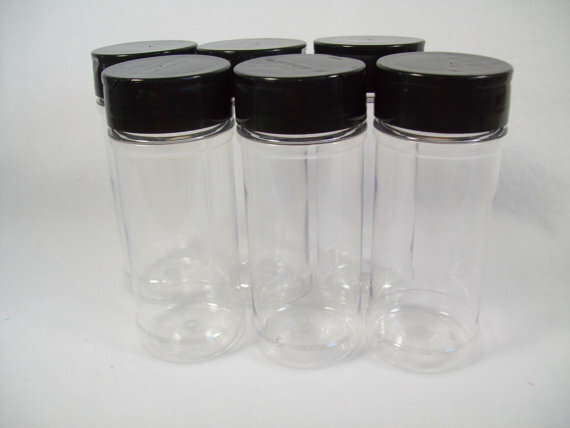 This avoids any potential mold and fungus issue in the substrate while ensuring the tarantula still has the optimal conditions to thrive and molt successfully. Although this would likely be impossible to prove, I have a feeling that many sling deaths can be attributed to dehydration. I know it’s happened to me, and I’ve been privy to many other instances where a lapse in husbandry lead to a desiccated spiderling. That’s why I now try to make sure that all of my slings get water dishes. Without that wax coating to protect them and keep them from drying out, slings are extra susceptible to dehydration, much more so than their older counterparts. But sadly, this is where the water dish discussion often gets most intense, as people are still convinced that their slings will drown. Well, if it helps, I’ve now raised approximately 75 slings, some less than 1/2″, with water dishes. And how many have drowned? Since I started giving my smallest slings dishes, I’ve personally witnessed many drink. Obviously, there isn’t just one way to do things in this hobby, and plenty of folks have had success using moist sub and spraying. Heck, I used this technique myself in the past. For me, however, the dishes provide me with extra security and peace of mind knowing that if I forget to spray or there is a particularly hot day, my slings are safe. For a bit of a rant on water dishes, check out the video above! It’s my belief that those new to the hobby should always start out by offering their animals water dishes. Most people who are just starting out have small collections anyway, so it shouldn’t require much extra effort to keep water dishes clean and filled. Although tarantula keeping can often appear to be rather simple on the surface, there are many nuances that can only be recognized and appreciated through practice and experience. 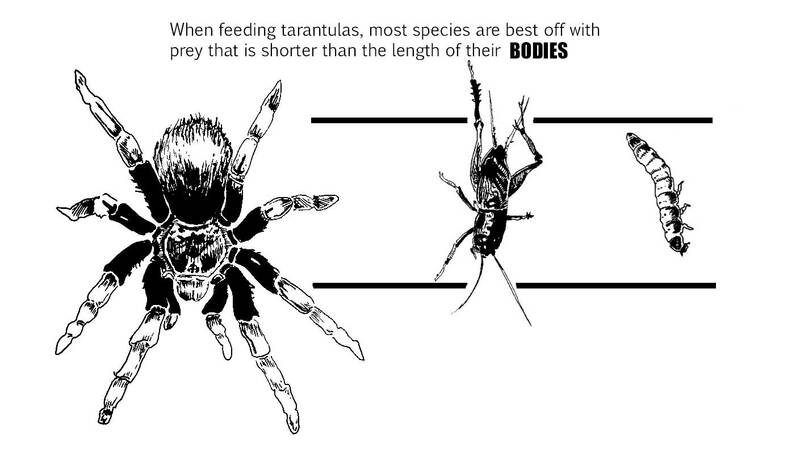 Whether or not a tarantula needs water is definitely one of these areas. As a keeper gets a better handle on basic husbandry and, more importantly, the specific needs of his or her individual specimens, then I would concede that some experimentation could be in order. Are there instances where providing a water dish just isn’t feasible? Certainly. 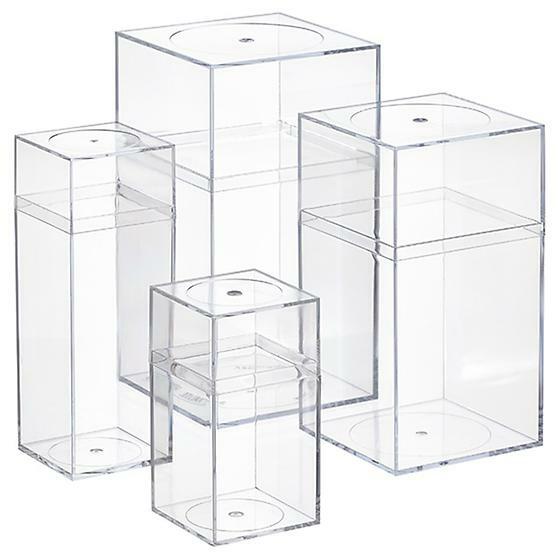 For those keeping very tiny slings, the small enclosures necessary to raise them are often too small to make it practical to include a dish. I currently have 130 specimens, and all but three have water dishes. Two I got as tiny slings and therefore started them off in dram bottles that didn’t offer enough room to include one. Both will be rehoused now that I’m phasing the bottles out. The other is my OBT, who has webbed up and buried a record FIVE water dishes. That said, I DO pour water onto her webbing for her to drink (and due to the water proof qualities of the webbing, the puddle usually remains for a day or two). She is also due for a rehousing soon, and when the time comes, she’ll get a larger enclosure and a heavier dish. Do I get why an experienced keeper might tire of cleaning and refilling a Ts water dish every time the animal decides to bury it? Heck, yes. And do I fault that keeper for using his or her experience to make the decision that keeping the dish full is just a waste of time? No way. In this instance, the keeper is relying on his/her experience to make an informed decision about the husbandry needs of the animal. If I’m being honest, I have two G. pulchripes juveniles that flip or fill up their water dishes so much, I’ve stopped worrying about keeping them filled. Although I still clean out and fill the bowls on occasion, it’s must less regularly than I do with my other Ts. Would I fault a keeper for giving up entirely in a similar situation? As long as the tarantula was thriving, no. Video of a young A. versicolor drinking from an open dish. Thanks again to Jesse Tibodeau! When it comes down to it, I’m a “better safe than sorry” type of guy though, so I’ll continue to clean and refill mine. Although I recognize that it’s definitely possible to raise healthy tarantulas without water dishes, I also know that they’ll use them. Am I insinuating that those who don’t use dishes are wrong and should immediately repent and change their way? Absolutely not. Those folks have a system that works for them, and I have mine. I raised enough slings successfully in the past using misting, so I appreciate that it can work. That said, I do think that folks who are just starting out need to do their research, talk to some experienced keepers, and consider the perks these terrarium “accessories” can offer. I also implore experienced keeper who choose not to use them to remember that impressionable newcomers likely lack the experience and skill to immediately follow their lead. Perhaps a little explanation of their experience level, observations, and technique would be in order.